The Law Office of Sanford D. Brown, L.L.C. is a law firm providing general legal services to the public. Sanford D. Brown and Nicholas J. Falcone have a total of over 40 years of practicing law. Mr. Brown had previously been a partner of a law firm in Freehold and had practiced in that area for almost 24 years when he established his own firm in 2002. Mr. Falcone had previously been with a national law firm specializing in employment law matters, and joined Mr. Brown in January, 2011. 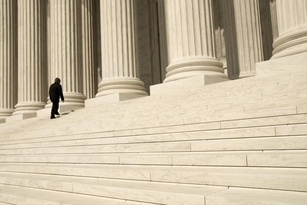 The firm represents governmental, corporate, and individual clients in a wide variety of civil matters. The firm is committed to providing the best possible services to it's clients.